For the past 27 years, The University of New Mexico Anderson School of Management Foundation Board has honored the best and brightest of ASM's alumni and faculty members. Now, in its 28th year, the ASM Foundation Board is gearing up to celebrate the 2017 Hall of Fame Inductees on Thursday, March 2, at the Albuquerque Convention Center. The Faculty Community Leadership Award will honor Dr. Steven Yourstone, professor and chair of the Department of Marketing, Information Assurance, Management Information Systems, & Operations Management. Hall of Fame candidates are selected for their professional success, contribution to community, and their ongoing commitment to education. The Hall of Fame event begins at 6 p.m., followed by dinner and the induction ceremony at 7 p.m. Corporate sponsorship opportunities are available ranging from an event sponsorship level of $10,000 to table sponsors at a cost of $2,500. Individual tickets are $250. Proceeds from the event benefit the Hall of Fame Scholarship Fund that supports Anderson students as they grow into the next generation of business and management leaders. For information, contact Darrell Garcia, Sr. Alumni Relations Officer at the Anderson School at 505-277-6264 or dgarci30@unm.edu. Luella Chavez D’Angelo earned a bachelor's degree in Marketing Management and a master's in Business Administration, with a Finance emphasis, at the Anderson School of Management. D’Angelo serves as the vice chancellor for Enterprise Development at the University of Colorado where she is responsible for leading the new CU South Denver enterprise. Prior to working at CU, D’Angelo served as the chief communications officer of Western Union. She also worked as director of Marketing for the Denver Museum of Nature and Science and the New Mexico Museum of Natural History and Science, and was vice president of Institutional Development of the UNM Health Sciences Center. In 2014, D’Angelo was recognized by the Denver Business Journal, receiving a lifetime achievement award as an Outstanding Woman in Business. Larry Chavez is the President and CEO of Dreamstyle Remodeling in Albuquerque. 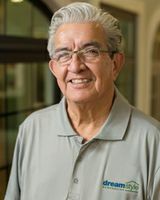 Chavez earned his BBA in accounting in 1969 from the Anderson School. Since founding Dreamstyle Remodeling in 1989, Chavez grew it into one of the largest home improvement companies in the country and employs nearly 500 people, of which half are located in New Mexico. Chavez was born in Springer, N.M. and raised in Albuquerque and giving back to the community is one of his great passions. Chavez contributes to several nonprofit organizations and UNM, where his company is currently remodeling the Lobo Football Offices at no cost to the university. He is a mentor for Stanford University’s Latino Entrepreneurship Leadership Program and serves on the Harvard University Steering Committee for the Joint Center for Housing Studies Remodeling Futures Program. Doug Cox is a director in the Tax Department at Atkinson & Co. and was a shareholder until his retirement resignation in November 2015. He has served as a consultant and business advisor to many closely-held New Mexico businesses and their owners. Doug graduated from Denison University in Granville, Ohio with honors and earned his MBA from UNM Anderson in 1990. Cox believes in giving back to the community by volunteering on numerous charitable and association organizations including ARCA, the New Mexico Society of CPAs, the New Mexico Association of Commerce and Industry, the Corrales International School, and the National Council on Alcoholism and Drug Dependency. 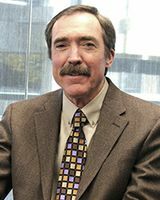 Cox is the recipient of the New Mexico Society of Certified Public Accountants Lifetime Achievement Award. Christi Blaschke is the manager of Clinical Informatics at Presbyterian Healthcare Services. She has a B.S. in Education from UNM and worked as an educator with Albuquerque Public Schools for eight years before earning her MBA from the Anderson School in 2012. Four years later she returned to Anderson to complete the Career and Professional Development Healthcare Management program. Blaschke serves as treasurer of the Albuquerque Alumnae chapter of Zeta Tau Alpha women’s fraternity and through the chapter plays a leadership role in the American Cancer Society’s “Making Strides” annual event. Blaschke also has a heart for animal welfare, and donates to and volunteers with various local dog rescues. Cristin Heyns-Bousliman oversees both the Human Resources and Legal Departments at Blake’s Lotaburger, LLC, an Albuquerque-based restaurant chain with more than 75 locations in New Mexico, Texas, and Arizona. Heyns-Bousliman earned her BBA in Business Management from the UNM Anderson School and Juris Doctor from Southern Methodist University Dedman School of Law. 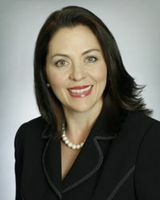 She began her career as a litigation attorney at the Modrall, Sperling, Roehl, Harris and Sisk, P.A. law firm. Heyns-Bousliman is active in the Albuquerque community serving on numerous boards of directors and working on fundraising initiatives for local nonprofits including NDI New Mexico, the New Mexico Museum of Natural History Foundation, Planned Parenthood of New Mexico, Amy Biehl High School Foundation, and All Faiths. She recently served as the 2016 president of the Albuquerque Bar Association. Rosalyn Nguyen, a Tucumcari, N.M. native, has a BBA in Finance and an MBA in Policy & Planning from the UNM Anderson School. In her current role as Associate University Counsel at the UNM Health Sciences Center, she practices in the fields of business, construction, and health law and is lead attorney to UNM Sandoval Regional Medical Center in Rio Rancho. Nguyen is significantly involved in community service. She was a student member of the UNM Board of Regents in 2005 where she helped create the UNM Film & Digital Media program. Nguyen currently serves on the UNM Alumni Association Board, is past Chair of the State of New Mexico Business Law Section, is currently the Budget Officer for the State of New Mexico Health Law Section, and a Bar Exam Grader for the New Mexico. Nguyen was named a 40 Under Forty by Albuquerque Business First in 2016. 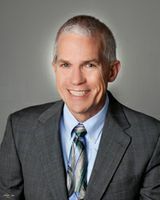 Steven A. Yourstone, Ph.D., is the chair of the Department of Marketing, Information Systems, Information Assurance, & Operations Management (MIDS). Yourstone is a professor of Operations Management and has chaired the MIDS Department since 2006. He earned his Ph.D., MBA, and BBA from the Foster School of Business at the University of Washington. Yourstone joined the faculty at the Anderson School of Management in 1988. Yourstone chairs the Campus Development Advisory Committee (CDAC) for the University of New Mexico. CDAC reviews capital project proposals in the programming phase and submits recommendations to the provost and the president. Yourstone is the Anderson School of Management lead planner for the new Anderson buildings.